The UPSELL: "Do you want fries with that?" Increase your revenue by offering multiple product options for a discount after the initial sale! OUR CLIENTS SEE A 15% INCREASE IN PROFIT USING UPSELLS! Adding multiple Upsell products can be done before the initial launch, but also in the back-end of the campaign (on the “Details” page) after launch. 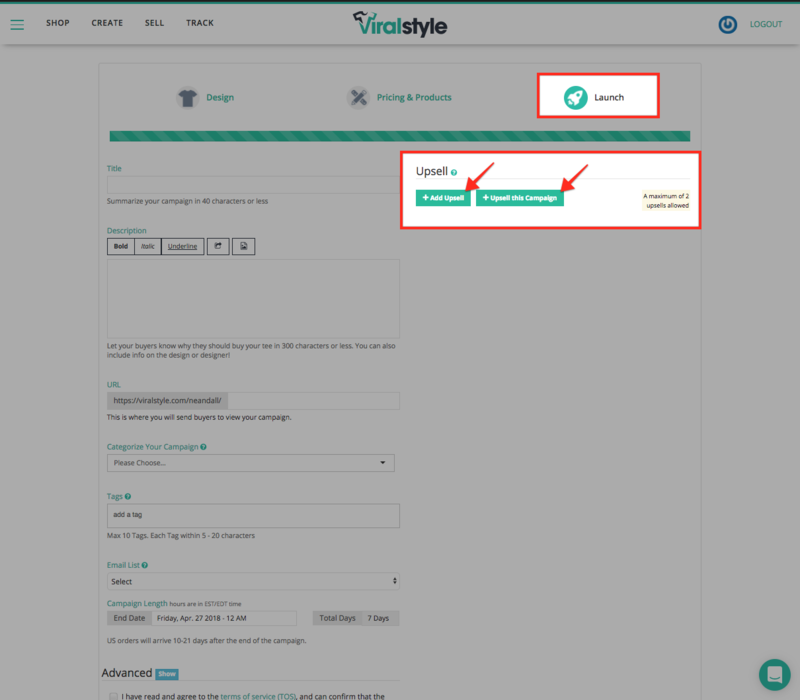 Creating an Upsell is easy, on the "Launch" page before launching the campaign, click the "Add Upsell" or "Upsell this Campaign" buttons to add multiple Upsell options for your customer to choose from. Continue on to Launch the Campaign. Creating/Adding the Upsell after the campaign can be a great additional to a successful campaign! Click the Options tab "•••" to the right of the campaign in question, then click "Details". You'll see the Upsell tab in "Details". Click the "Add Upsell" box and update your discount, default side & color. Repeat the process to add an additional Upsell. Setting the Upsell will create a "pop-up” that appears AFTER the customer has already completed their purchase. 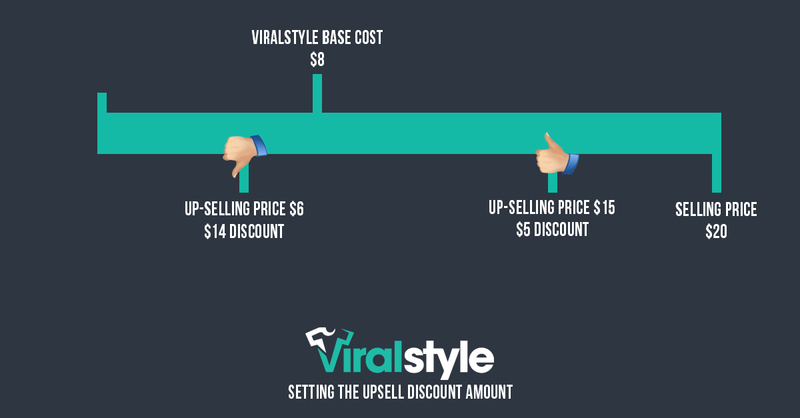 The Upsell product(s) can be from the same campaign, or different campaigns. This pop-up will ask them if they’d like to buy an additional product for a discount (% or $) which is set at your discretion. You will not be allowed to set a discount amount that is lower than the base cost. Or to better describe, higher than your profits from the Selling price. See the image below for a visual guide.